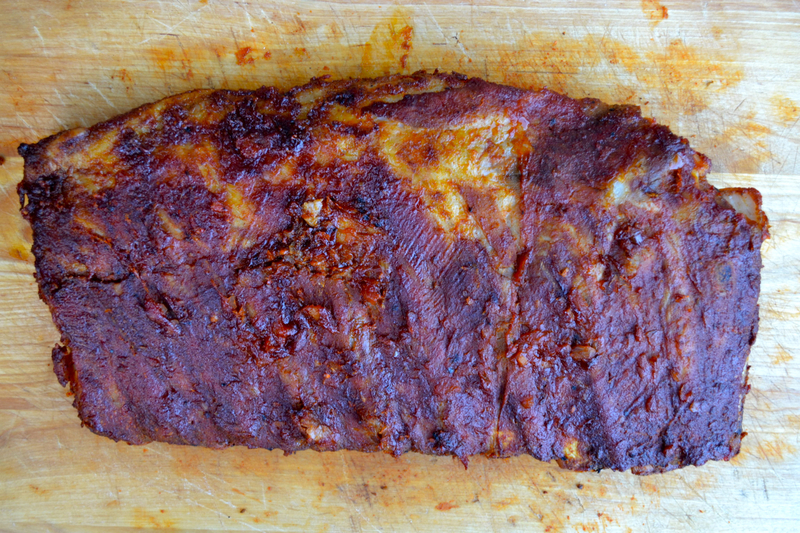 If you’re making the most of this amazing weather by having a barbecue, then try these delicious smokey bbq ribs. So this awesome weather doesn’t look to be going anywhere anytime soon, does it? It’s marvellous! I don’t remember having such a ‘summery’ summer in years, and we have definitely been making the most of it. In the last 7 days, we’ve had 4 barbecues. We’ve barbecued on a weeknight! And we’re not even Australian! It’s been great and having seen the forecast, I’m looking forward to another fantastic weekend of sunshine, cider and barbecue smoke. For a barbecue that we had last weekend, I decided to try something I’ve had a million times, but never actually cooked myself: a barbecued rack of ribs. I’ve certainly eaten my fair share of ribs. On travels in the States, for example, I was eating them every other night. 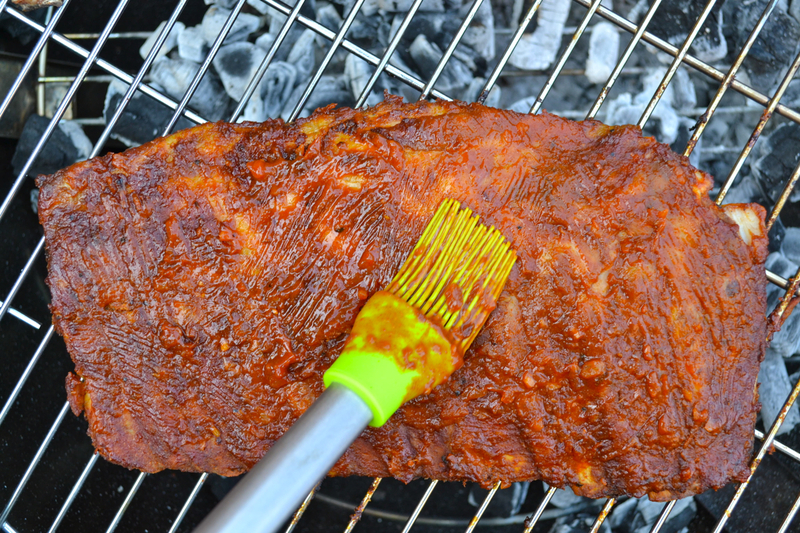 Charred, smokey and smothered in delicious bbq sauce. So I wanted to try making them myself and see how they compared to the ones I remember eating over in America. And I think this recipe does a pretty good job. 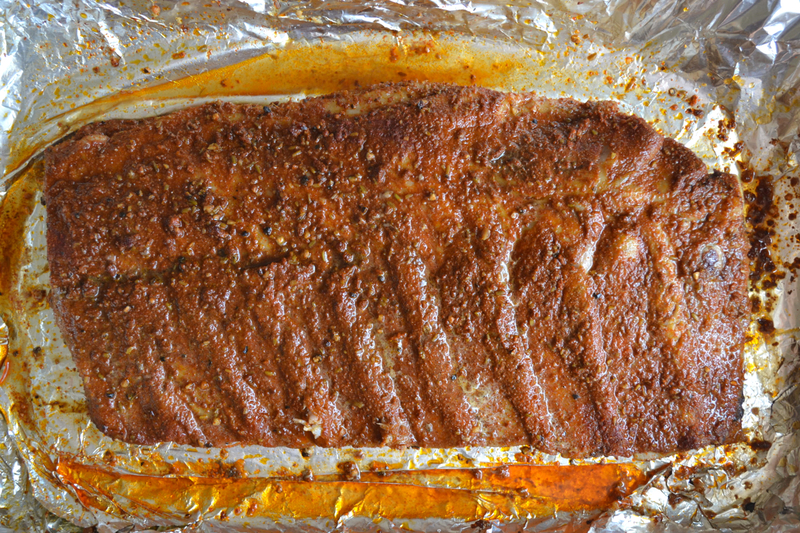 I made a dry rub for the ribs and slow roasted them for a few hours in a low oven, so the meat was really tender and juicy, ready for charring on the barbecue. I cooked up another batch of my smokey bbq sauce, which I used to baste the ribs while they charred on the grill over the coals. The aroma around the garden was out of this world. Basting and turning the ribs every so often meant that as they cooked on the barbecue, the ribs got more and more sticky and totally packed with amazing sweet, smokey flavour. 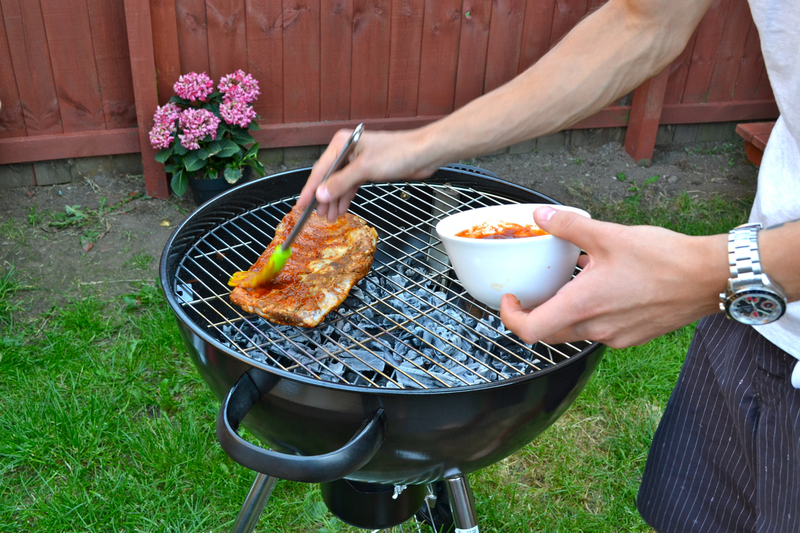 I really hope that if you’re having a barbecue this weekend, you’ll give these a go! 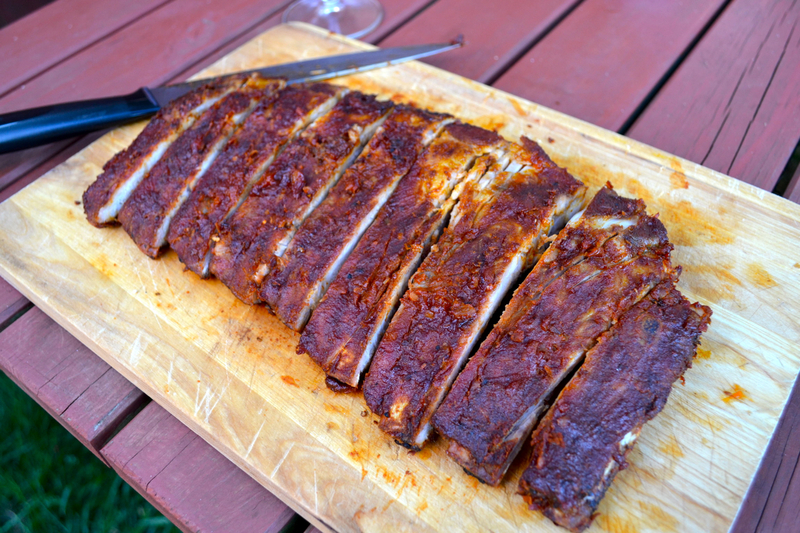 A rack of ribs is pretty cheap to buy, and this is an easy, straightforward recipe that will definitely satisfy the more carnivorous of the TBCC readership! 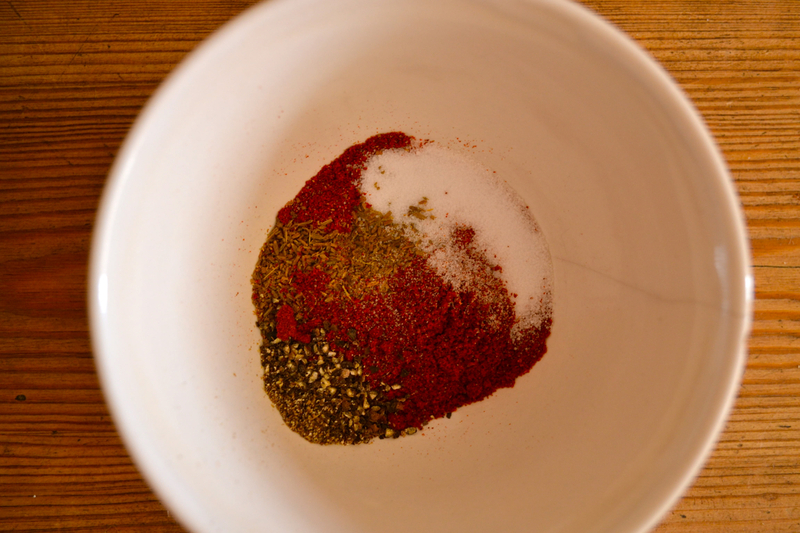 In a bowl, combine the the smoked paprika, fennel, cumin, chilli powder, salt and pepper. Rub the spice mix all over the meat, really getting it into all the little gaps. 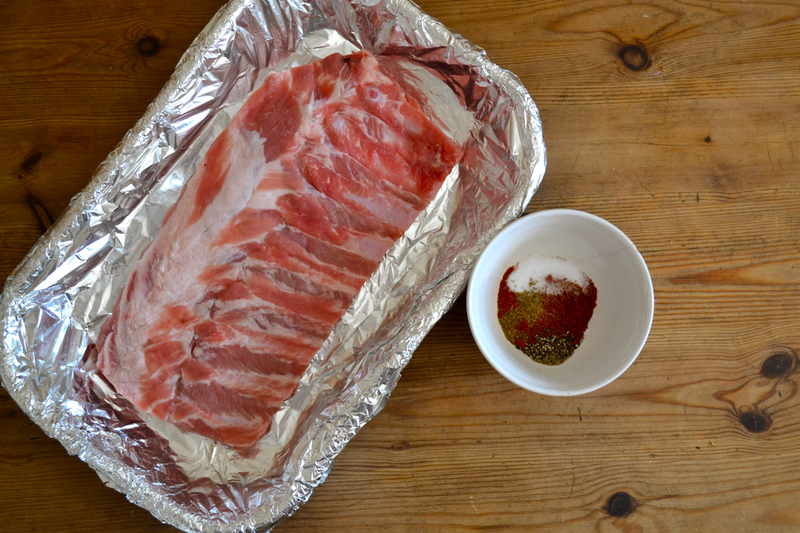 Place the rack of ribs in a foil lined roasting tray, cover with more foil and place in a preheated oven at 140℃/275℉/Gas mark 1 and slow roast for about 3 hours. 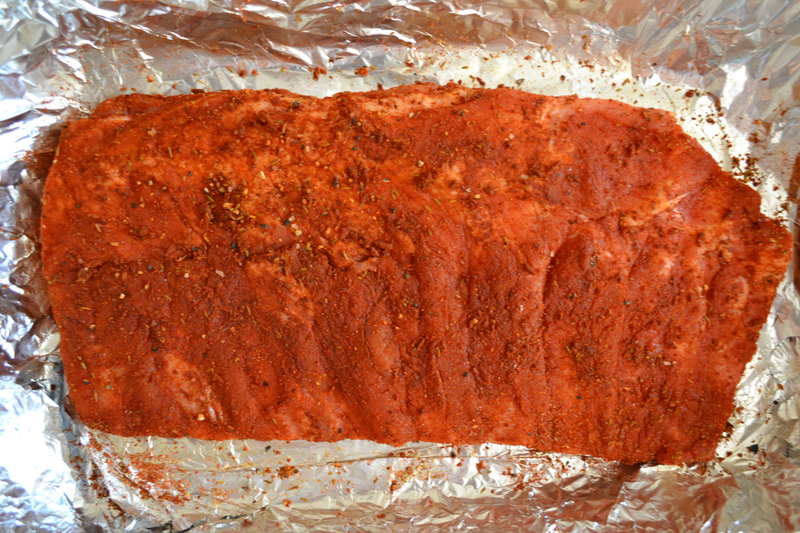 Remove the ribs from the oven, brush with the smokey bbq sauce and place on the barbecue. 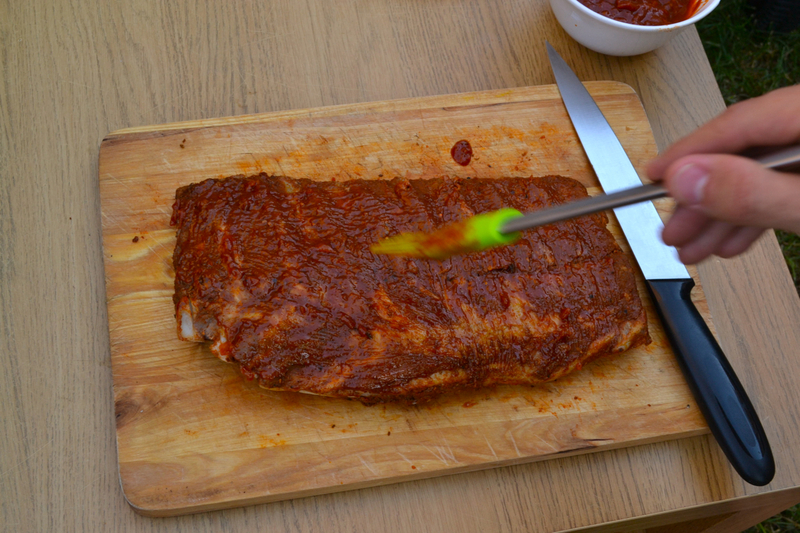 leave to cook for about 5-7 minutes before turning and basting again with the sauce. Keep doing this until you’re happy with how charred and sticky the ribs become. I think I repeated the process about 5-6 times, and they were perfect. Remove from the grill, brush over another lot of the sauce and leave to rest for 5 minutes before carving into individual ribs. Now get your laughing gear around those, and enjoy with an ice cold glass of your favourite cider, good company and plenty of sunshine. Your ribs look totally lush to me! And they’re so worth spending the time over aren’t they? Thanks so much for entering the recipe to this month’s Four Seasons Food challenge, but could you add the FSF logo and link back to Anneli and myself? I can almost taste it! Looks amazing!